German lessons online via Skype • Learn German with native teachers! 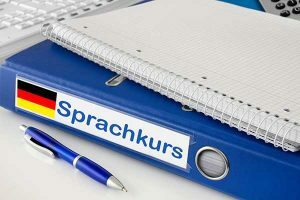 For every student we have a custom offer for our German lessons online. In your German lessons online, you will be attended by a native german teacher. All our teachers are experienced. Our philosophy is to talk as much possible with the student. During this conversation, notes will be taken and the student will hve his mistakes corrected. With this method the learning process is a lot of faster. 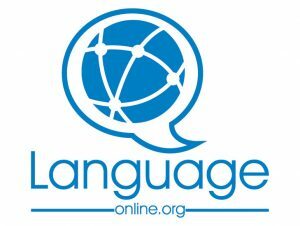 What mekesour german lessons online different? The german lessons online have a duration of exactly 60 minutes. All our german teachers speak a second or third language. In this beginner course, you will learn german from the beginning. To us, it is very important that you learn to speak as soon as possible. This is why your German teacher will focus on conversation. Obviously, we will also teach you grammar and spelling, and work on the reading and listening skills. These four areas are also part of the official german exam, the Goethe test, which is a certification of german level which is recognized worldwide. It is divided in levels to be passed, from A1 to C2. 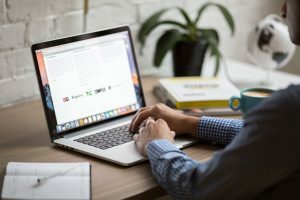 The idea behind the way we organize our german lessons online is that your teacher will exploit the best possible the time that you have paid. That includes homework, and disponibility during the lessons to listen and answer to all your doubts, questions, curiosities, and so on. This course is the right choice for you if you want to enhance your speaking skills. A lot of students that take this course, before a trip to Germany, do achieve a good level. This is the best way to immerse oneself during the stay there. The tutoring classes are perfect for people who want to learn german on their own. Many students like better to learn via apps like Duolingo. This proves interesting for people who don’t have time to participate to a full time german course. If you already started to learn on your own you should have noticed that there are always doubts and questions arising. There exactly is where we will help you. Your teacher will support you in your supplementary classes by answering all your questions about grammar, spelling, comprehension, pronuncuation, culture, or any other. What is the difference between the German lessons online and normal lessons? The biggest difference between the German lessons online via Skype and normal lessons is that the prices are a a lot lower. As for the rest, it’s basiclaly the same. Your teacher will be focusing on your weaknesses to improve them. Is this course useful if I want to pass a exam? If you are planning to take a German examination, for example the Goethe test, our teachers can help you with a customized preparation, so that you can pass the exam successfully.